The Sun twenty [degrees] in Taurus, so strongly the earth trembles. When the infidel calls upon God and the saints. POSTED March 23, 2019: We have discussed the evidence indicating that we are in a period of historical correction, one that lengthens the intervals of repetition between two events by a factor of 9 years rather than 7. This has been happening to a much larger than usual number of predicted events since 2015 than prior to that time. I anticipate that the correction may continue on until 2025, but could slow down appreciably as early as 2022. We should keep in mind that this period of correction likely applies only to events involving some element of human control or manipulation. Wars, assassinations, murders, suicides, acts of terrorism, scandals, political shifts, riots, revolutions, economic downturns, upward economic trends, marriages, divorces, technological advances, environmental catastrophes caused by human error ... all these things and similar events normally subject to the base 7 phenomenon ... many of these may become subjected to a delay of up to two years and two months beyond their projected vector of recurrence. Not so with natural events. There is no reason to conclude that earthquakes, floods, hurricanes, tornado activity, volcanoes, and the like should in any way be bound by historical correction. Likewise events occurring in outer space such as comets, close encounters with asteroids, supernovas, lunar and solar eclipses, and other similar celestial occurrences. Thus, we must remain vigilant to the ordering of natural disasters as prescribed by the base 7 phenomenon. Once again, I am more comfortable with calling what I have often labeled "the base 7 system" a "phenomenon" rather than a system. A system normally requires a human operator or a human designer. However, if this is a system, it is one that runs by itself without any human involvement. Thus, it is not a system, but a phenomenon. But if we are unable to CONTROL this phenomenon, we are at least able to OBSERVE it ... and determine when an event will likely happen again, hoping in the process to at least cut our losses if unable to intervene to such extent as to prevent the event from occurring. This becomes much more difficult when the event is itself human-controlled, as I mentioned above. The next period of concern regarding a major earthquake striking a densely populated area of the southwestern United States will be seven years after the last anticipated event, which was January 2015 for the city of Los Angeles. The historical basis for this vector is prefigured by the last major seismic event to strike that city which was the Northridge Earthquake of January 1994. Only a 6.7 magnitude event (compared to two earlier quakes of 7.3), it was the deadliest and most destructive of the 20th Century and, thus far, the 21st Century. The next time this seismic danger assets itself in the Los Angeles region should be in January 2022. As the vector is perched at the head of the year, we should be prepared for slippage in either direction, meaning a quake occurring as early as summer 2021 or as late as summer 2022. That has nothing to do with human-caused "historical correction" but rather to natural fluctuations in the base 7 system, fluctuations that can not be precisely predicted. Northridge (formerly known as North Los Angeles) is a neighborhood in the city of Los Angeles. The quake centered there created widespread damage throughout Los Angeles as well as in the cities of Santa Monica and Santa Clarita. 57 people died and 8,700 more were injured. 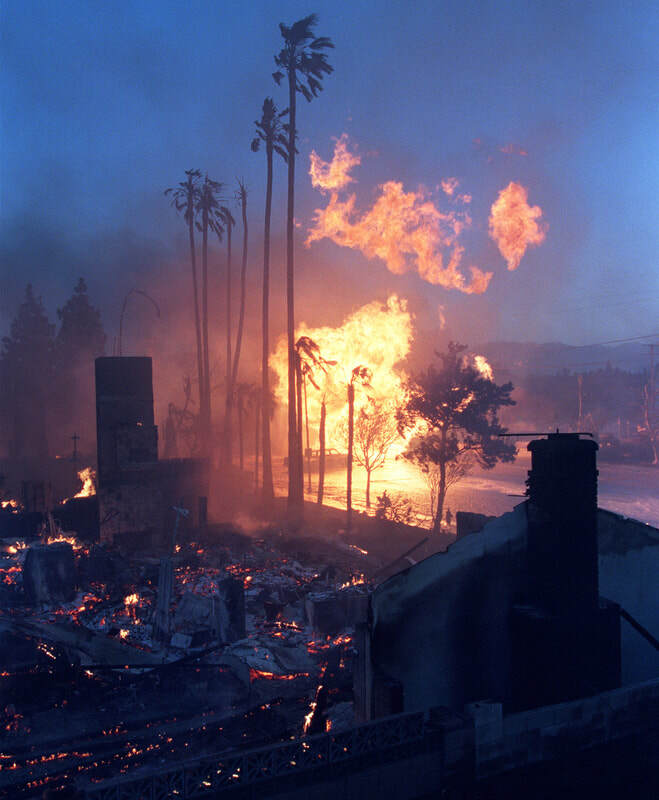 In terms of damage to the city of Los Angeles, Northridge was the most destructive thus far in modern history, preceded 42 (6 x 7 ) years earlier by the highly destructive Kern County Earthquake of July 1952 (7.3 magnitude). In 1952, Kern County was the most destructive and powerful temblor recorded in the state of California since the Great Earthquake of 1906. 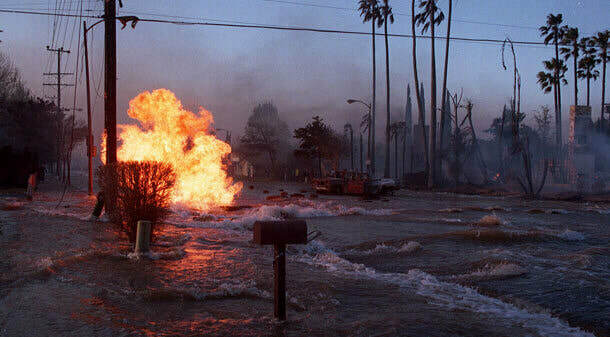 35 (5 x 7) years later, the destructive Whittier Narrows Earthquake would strike the region in October 1987. Despite being only a 5.9 magnitude, it was extremely shallow, causing serious destruction and casualties. Seven years later came Northridge. The area around and in LA would also be struck outside of the base 7 timeline, in Long Beach in March 1933 (6.4 magnitude), then much later in February 1971 by the Sylmar Earthquake (6.5 magnitude) and two years prior to Northridge during the June 1992 Landers Earthquake (7.3 magnitude). 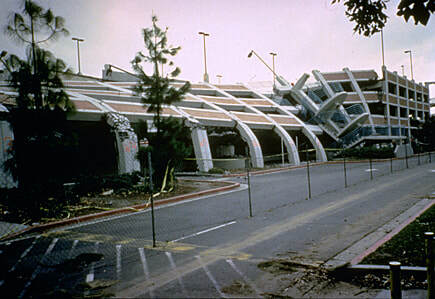 Treated as a "false alarm" for the "Big One," I believe Landers was a warning for the Northridge Quake to follow in January 1994. Long Beach misses being a precedent for Northridge by 2 years (61 years apart instead of 63). Sylmar misses also by 2 years (23 years difference rather than 21). As I already mentioned, Landers (1992) was too close to Northridge (1994) NOT to be connected, with the total time elapsed between both events being a mere 1 year and 7 months. There have been any number of large earthquakes rattling the area in the years since Northridge or the Loma Prieta quake that hit San Francisco in October 1989 (6.9 magnitude). But they have been far enough away from populations, off the coast (oceanic), or else TOO DEEP to cause destruction or casualties. Prophecy warns of major earthquakes in our future bringing destruction greater than we have witnessed in many centuries, events that are often called "biblical" in magnitude. The most notable prophecies have been those of Edgar Cayce. Nostradamus predicted several "new city" earthquakes (that is, cities in the New World, America), but never specified what parts of the US or Canada. Any "new world earthquake" prophecy could apply, and one is dated by the stars as May 10, but no year given. "The earth will be broken up in the western portion of America." "The widespread destruction in Los Angeles and San Francisco as well as in many portions of the west coast will occur. Earth changes will occur in the central portion of the United States as well." No date is given in either prophecy. If the city is indeed Los Angeles, could this is be The L.A. Stadium still under construction or The Microsoft Theater? 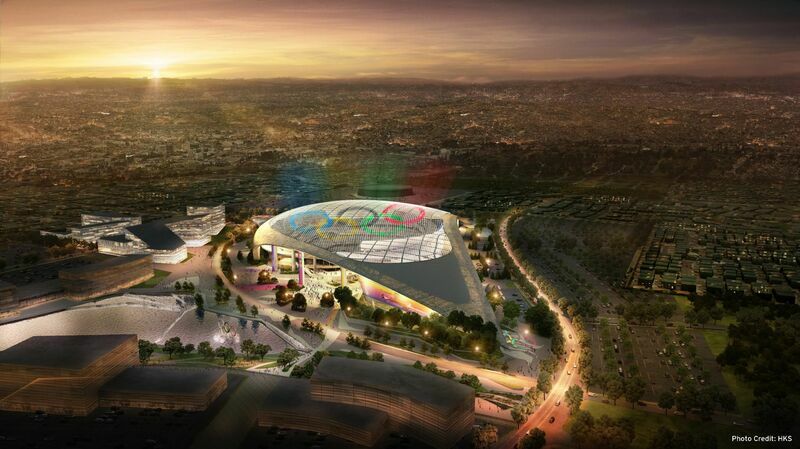 The L.A. Stadium (left): The Los Angeles Stadium at Hollywood Park (LASED) will be completed and open to the public in 2020 and will host Super Bowl LVI in 2022 and the Opening and Closing ceremonies of the 2028 Olympics, as well as major concerts and other entertainment year-round. The Microsoft Theater (formerly Nokia Theatre L.A. Live), at right, is a music and theater venue in downtown Los Angeles, California, at L.A. Live. 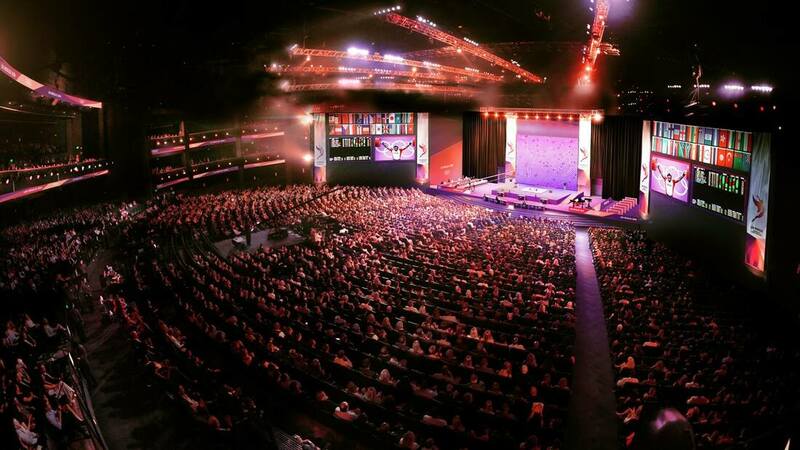 The theater auditorium seats 7,100 and holds one of the largest indoor stages in the United States. Is it possible the coming great Los Angeles Earthquake will occur in May 10, 2022 ... destroying either the L.A. Stadium or The Microsoft Theater?? ?